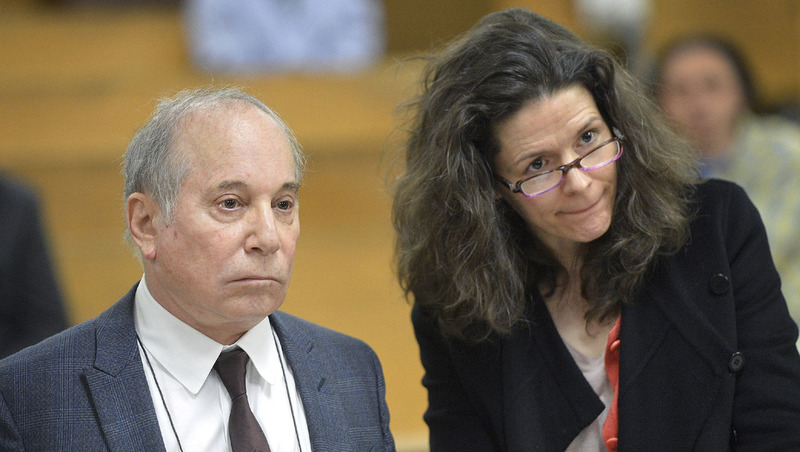 NORWALK, Conn. - A police report shows singer Paul Simon made the emergency phone call that led to the weekend arrests of him and his wife, singer Edie Brickell, on disorderly conduct charges. Two police reports, first obtained by the Hour of Norwalk, indicate that the 48-year-old Brickell slapped Simon, 72, at their New Canaan, Conn., home Saturday evening. She reportedly told officers he had done something to "break her heart," but did not specify what. According to police, Simon had called 911 but hung up the phone. Officers learned that Brickell had also been arguing with her mother, who was visiting from Texas. The reports indicate Simon suffered a superficial cut to his ear, and Brickell, who allegedly smelled of alcohol, had a bruise on her wrist. She told police that she confronted Simon at a cottage on the couple's property which houses the family's recording studio, saying that her husband "cannot handle being criticized in any manner and became confrontational with her," the Hour reports. Police said Brickell accused Simon of "acting like a spoiled baby," and told officers, "I didn't hit him. I slapped him." According to the report, Brickell showed police her bruised wrist and insinuated that Simon had caused bruises on her back and a lump on the back of her head, but would not let officers photograph the injuries and refused to detail the allegations of abuse. Both said in court Monday they didn't consider the other a threat, and no protective order was issued. They are due back in court on May 16. A song by the pair, "Like To Get To Know You," was posted Wednesday on Brickell's website. Many Republicans jumped to the defense of President Trump after the release of the special counsel's redacted report. One of the president's major critics within his party, former Arizona Republican Senator and now CBS News contributor Jeff Flake, joined CBSN with his takeaways on Robert Mueller's findings.